Time to Get Social on Social Networks! Ahhh, social media – while the actual core social platforms have pretty much remained a constant (Twitter, Facebook, LinkedIn – you know all the big ones), the possibilities for what you can do on social – both personally and professionally – continue to grow. Focusing on the U.S., the adoption of social media platforms is steadily rising, with an estimated 69% of the public using some type of social media, according to Pew Research Center. When compared to the adoption rates in 2005 of just 5%, that 69% figure is quite astounding. On a worldwide scale, WeAreSocial’s Global Digital Report 2018 states that the number of social users this year is 3.196 billion; up 13% from last year. 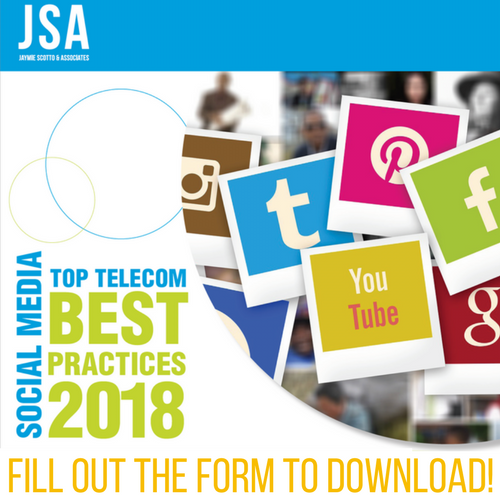 That’s where JSA comes in – we’ve gathered the top 8 best practices for social media in 2018. Use this booklet as a handy guide for what your business should be doing in 2018 to maximize your potential! Fill out the quick form to start reading our best practices for 2018! JSA will use the information provided to keep in touch and send you the latest industry news and updates. You can ask us to stop or change your preferences at any time by emailing us at [email protected]. You can find out about your rights and how we use you information in our Data Protection Policy.